With the world’s oceans more severely threatened than ever before, President Donald Trump’s Interior Department is recommending even less protection for the fraction of ocean life the U.S. has guarded from commercial fishing and other activities in recent years. The monuments that Zinke recommends altering include the water surrounding the Pacific Remote Islands, whose protected area was expanded to more than 490,000 square miles by President Barack Obama. 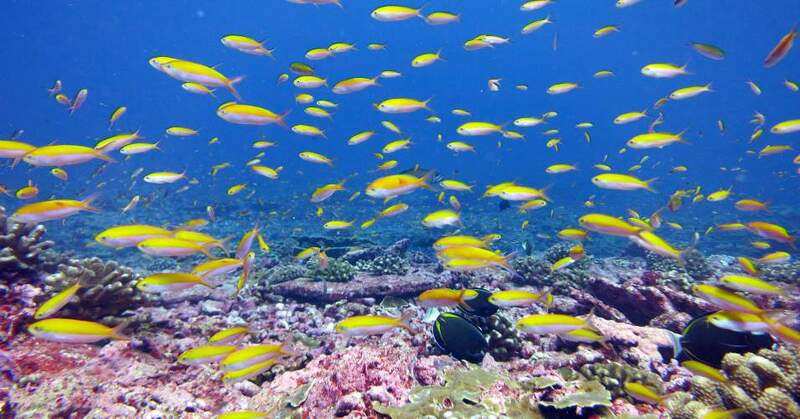 The monument is now the largest protected marine area on Earth, with the Fish & Wildlife Service calling it “the last refugia for fish and wildlife species rapidly vanishing from the remainder of the planet.” Zinke would also allow commercial fishing in parts of the South Pacific’s Rose Atoll and the Northeast Canyons and Seamounts in the Atlantic. The three monuments combined are more than three times the size of California, but are just a fraction of the world’s marine area—which scientists say are in more danger than ever thanks to rising temperatures, rampant plastic pollution, the bleaching of coral reefs, over-fishing, and noise pollution from the shipping and tourism industries. The regions also account for a very small portion of the United States’ waters. Commercial fishing groups have fought against the protection of the monuments for years, while conservation advocates and marine scientists argue that allowing marine wildlife to thrive unthreatened by humans in specific parts of the ocean is actually helpful to the fishing industry. Critics are also concerned that opening the waters to fishing could pave the way to eventually allowing fossil fuel companies to drill in the monuments—a major concern of opponents to Trump’s plan to shrink national monuments on dry land. This entry was posted in Climate Change & Environmental Issues, Corruption, Economics, Government, Social Justice, Water and tagged Atrocities, Capitalism, commercial fishing, Corruption, Department of the Interior, Economics, Ryan Zinke, social justice, Solidarity, Water on January 3, 2018 by MNgranny.